I have always loved the way surfing puts you in the moment, unable to focus on anything else but what you are doing. The peace, tranquility, exhilaration and full body work out all in one! Surfing is the blood that runs through my veins and the air that I breathe. To paddle out at sunrise in silence, take in the beautiful surroundings, smell the salt air and be greeted by passing dolphins is life changing. I have been fortunate enough to turn my passion into something that I can share with others. I founded my surf school 16 years ago with an umbrella on the beach and today Surf Emporium is the largest surf school in South Africa. To be able to watch the joy on peoples faces when riding a wave for the first time is very inspiring and rewarding. Research increasingly indicates the physical and psychological benefits of Surfing. Surfing is now being used as an alternate form of therapy. My goal has always been to share this passion with others and especially celebrating woman in the sport. Surfing was once perceived as a male dominated arena but we are changing that perception. Through the surfing journey I have seen how the sport can build a woman’s confidence, self esteem, independence and courage and this can also translate into so many other areas in one’s life. Two years ago Surf Emporium teamed up with Adaptive Surfing Cape Town run by Ant Smyth. Ant is an Adaptive Surfing World Champion. He is passionate about sharing the message that any one can surf! An Adaptive Surfer is a surfer with a disability, including but not limited to, paralyses, cerebral palsy, blindness and amputations. These are just some of the many physical challenges that individuals overcome in feeling the ‘stoke’ of catching a wave. Adaptive Surfing, as a sport, has been rapidly growing and we are dedicated to contributing to this growth both locally and nationally. We teach surfing and always encourage inclusiveness. Able bodied or differently abled individuals can get in the water. I cannot begin to describe what a remarkable role surfing can play in the overall well being of a person both physically and mentally. For me personally, getting in the water to share this opportunity with others has been so inspiring. It has put into perspective the many small everyday things I often take for granted! We are very moved by the life stories shared of these three inspirational adaptive surfers. “I am Elsje Neethling. It's amazing as to what your broken pieces can do if you give your broken pieces a chance. It was a chilly winter's day in June. The day my life changed. The day I fell in love with the ocean. Being an incomplete spinal patient for the past four years, not being able to walk didn't bother me as much as the notion that I might never be able to swim in the sea. Coming from a competitive swimming background, we used to spend our holidays frolicking in the waves. Having survived terminal brain cancer, I wasn't so much phased by not walking as much as never having the freedom or mobility to run into the ocean ever again. All that changed in 2016 when a road trip to Muizenberg turned into my very first adaptive surfing lesson. With the help of a very enthusiastic Anthony Smyth and his team I was handed a board and wetsuit, courtesy of Roxy's Surf Emporium! I was elated (to think a bunch of people would actually help me in and out of the water!). It's been over a year since I first tasted the sweet freedom of surfing. And I'm hopelessly smitten. I'll never forget the first day I managed to balance myself on the board. I was flying! When you surf you are free. For some brief moments there is nothing in the world but you, the board under your feet, and the wave. You forget that you are differently abled, broken, sick or hurt. The waves cleanse your head, heart, body and mind. The Surf Emporium Surf Lesson and Adaptive Surf Media Experience is aimed at creating an awareness for Adaptive Surfing in South Africa with a short term goal of providing greater access to all South Africans to increase the number of Adaptive Surfers and a long term goal to unearth many potential South African World Champions. We are inviting the Media Community to come down to Surf Emporium in Muizenberg and to roll up their sleeves by participating, first hand, in this experience. The Surf Lesson and Adaptive Surf Media Day takes place on Saturday, 20th October 2018 at Surf Emporium on Muizenberg Beach. The morning experience will include influencers such as Morne Morkel and Nik Rabinowitz pairing up with the Adaptive national team surfing with them like them! 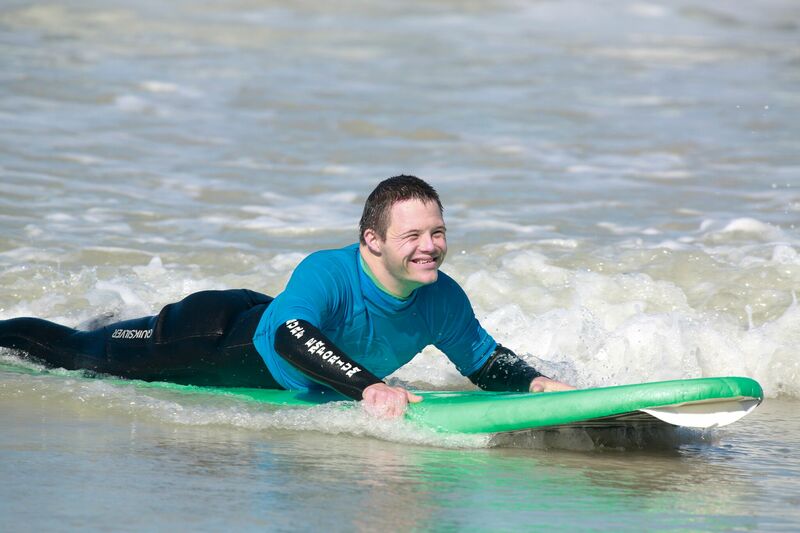 We will also be teaching 15 Adaptive surfers how to surf for the very first time! 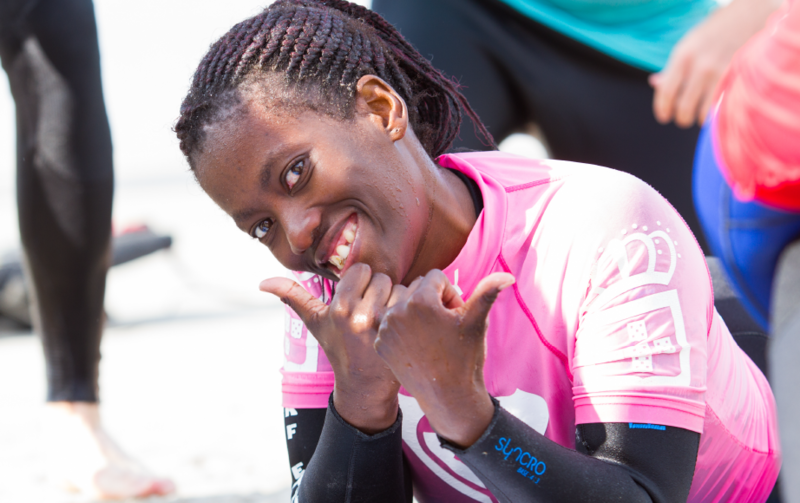 If you are a part of the media community, or you would like to be a volunteer on the day or if you would like to participate as an Adaptive surfer please contact Roxy Davis on 082 562 8687 or email roxy@surfemporium.co.za. Visit www.surfemporium.co.za/media-adaptive-surf-day/ for more info about the event. If you would like to find out more about adaptive surfing in general click here www.surfemporium.co.za/adaptive-surfing/.